Super Eagles and Cologne striker Anthony Ujah scored a goal for the German clubside over the weekend but got in the news for his bizarre celebration. goat was stationed, before he pulled sharply on Hennes’s horns and attempted to mount the animal. 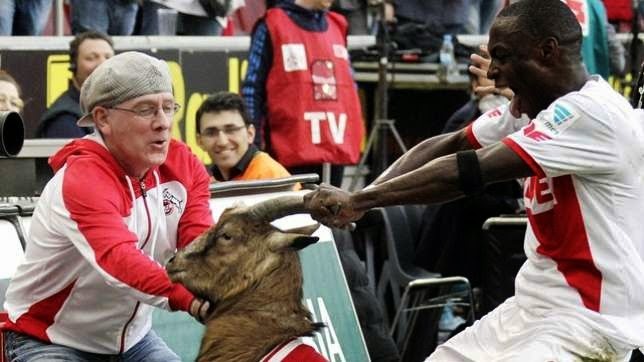 The goat, named after former player and coach Hennes Weisweiler, is a regular feature at Cologne’s home games and is said to be in a good condition, despite the excessive celebrations. This is not the first time he has celebrated with the mascot. The striker however apologised later on Instagram admitting he was too rough celebrating the goal. "Yeeeeees. 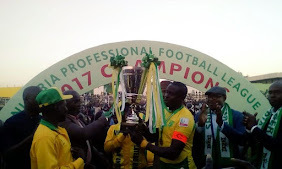 Finally a win for us at home and what a special way it came," Ujah writes on Twitter after Koln won for the first time in seven matches.